This group is responsible for controlling mosquito infestations that are of public health importance. VOBEC is working with this department to gain information on developing our own mosquito management plan, and educating the public about ways to minimize mosquito infestation. Click HERE for more information. 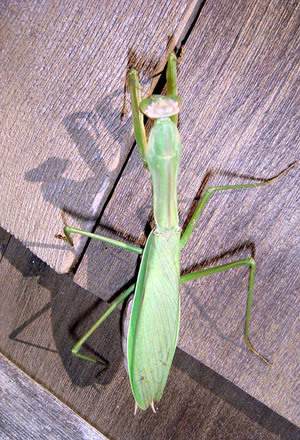 Pictured here is a praying mantis. Please note this is a beneficial insect that is NOT in need of control.